Background: Diabetic peripheral neuropathy (DPN) plays a key role in morbidity and mortality in patients with type 1 and type 2 diabetes mellitus. The study was designed to assess frequency of diabetic peripheral neuropathy among the diabetic children and to evaluate the role of nerve conduction study (NCS) in diagnosis of DPN in children with type 1diabetes mellitus in comparison to neurological examination. 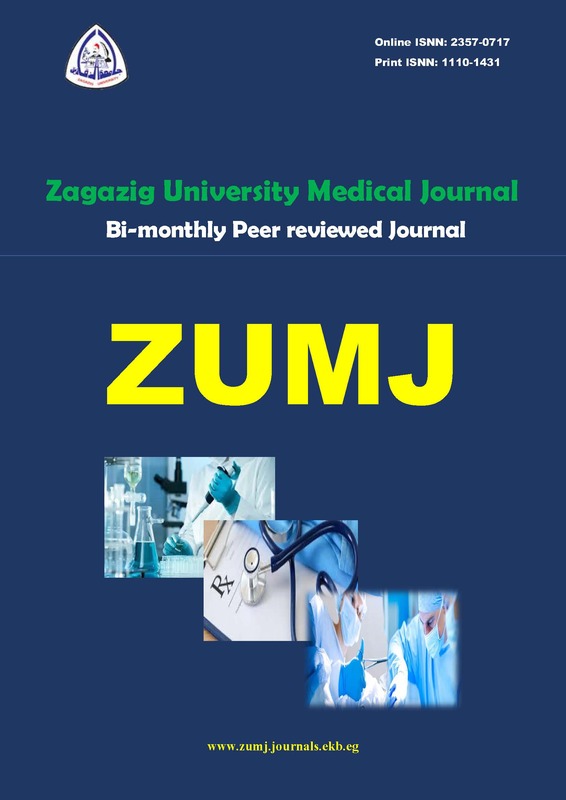 Subjects and methods: A cross sectional study was conducted in Pediatrics Department, Zagazig University Hospitals. Forty type-1 diabetic children were subjected to complete history taking, complete general and full neurological examination, Michigan Neuropathy Screening Instrument (MNSI), laboratory investigations and NCS. Results: The estimated frequency of diabetic peripheral neuropathy was 42.5% among the diabetic children. We found a statistically significant moderate agreement between (NCS) and Michigan Neuropathy Screening Instrument, Kappa= 0.564(95% CI, 0.321 to 0.807), (P<.001). The percent of children with microalbuminuria, fairly and poorly controlled diabetes was statistically significantly higher in PN-children than non PN-children (P<.05).Duration of diabetes was the most important factor in prevalence of PNP (odds ratio=2.1 [95% CI 1.3 to 3.4]). Conclusion: NCS are the gold-standard method for the detection of subclinical DN which is frequent in diabetic children .